No matter size of job, our knowledgeable staff has the expertise to help you! We're dedicated to serving the U.S. military community in the Pacific. 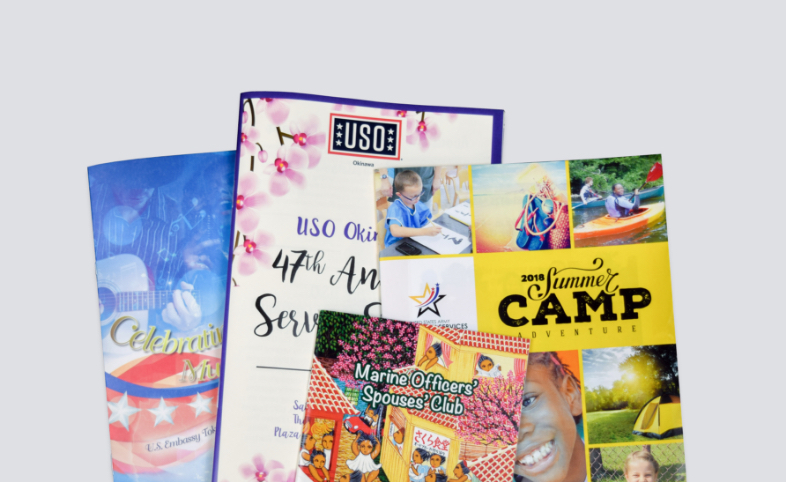 Stripes Printshop offers a wide range of printing services to support troops and U.S. government ID card holders. You'll be surprised what we can do for you! Our professional graphic artists and support team will ensure your vision becomes reality. Our modern, state-of-the-art digital printer is perfect for any size of order, big or small. For those big jobs, our team relies on our over-sized printer to handle your largest orders. Perfect for school or community group publications, we can print newsprint products starting at just four pages. We can handle all sorts of bindery needs — spiral bound, perfect binding or even simple stapling in the corner. If you are within our delivery area, we can hand-deliver your print order. If not, we'll use commercial means. 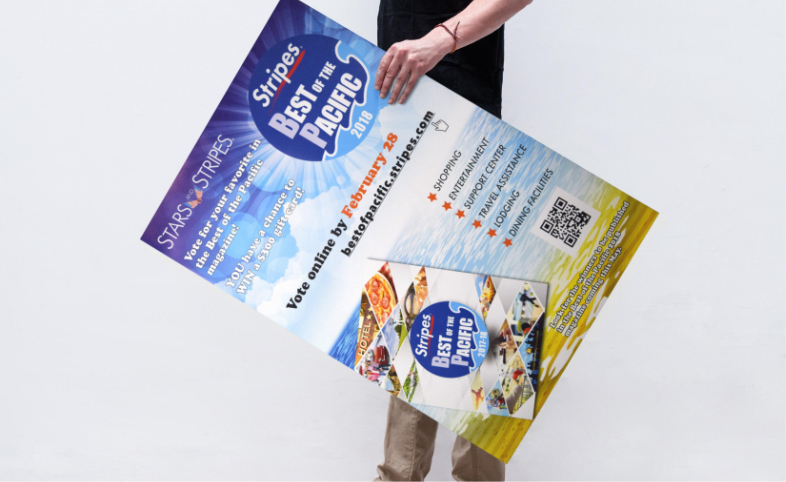 We print a lot of posters in a variety of sizes, up to 40" wide. And if you need it mounted, we can handle that, too. 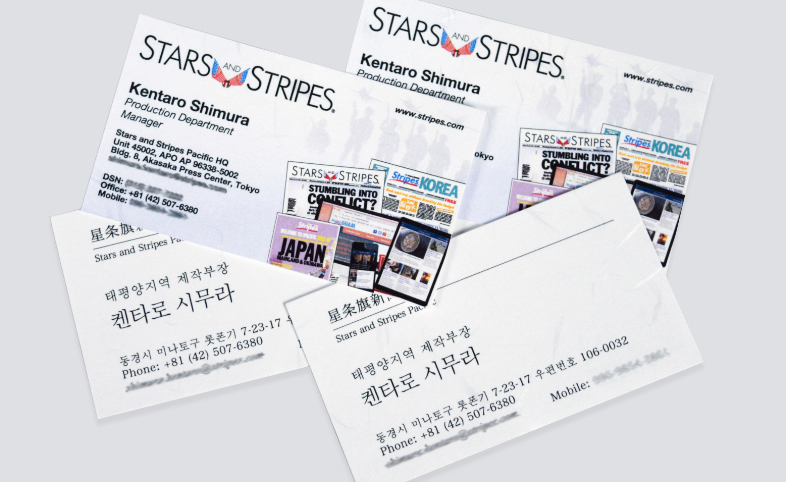 Business cards are an important part of Asian culture. We can customized your business cards on a variety of sizes and paper stock. 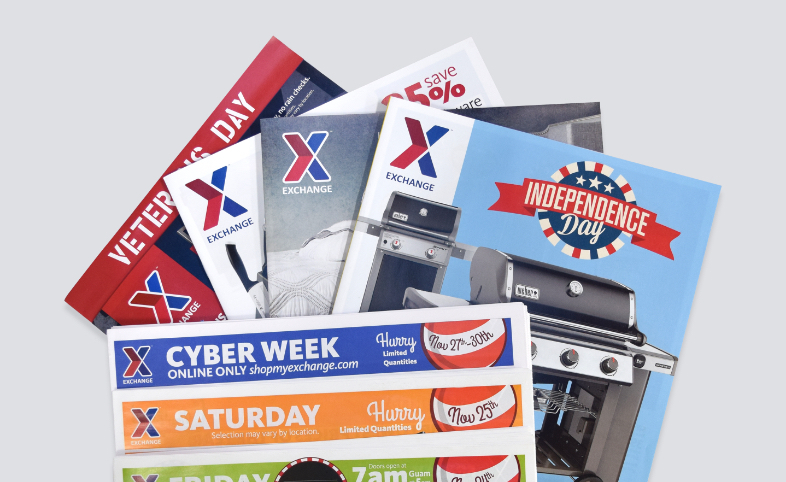 Whether it's a simple single sheet or a 96-page brochure, we can handle it! And if you need help with layout, just ask. 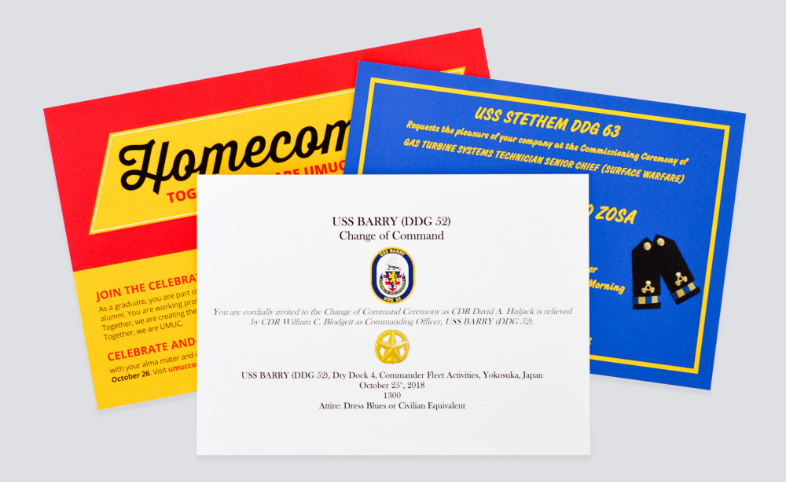 Whether you are throwing a birthday party or planning a Change of Command, we are the experts when it comes to invitations. 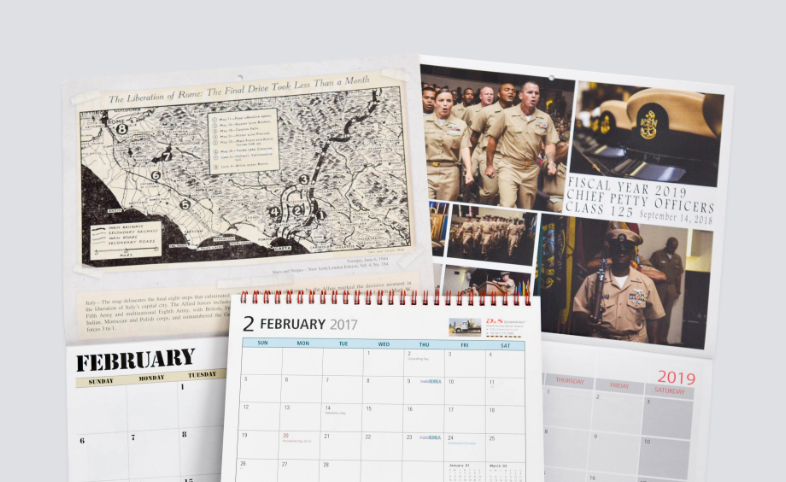 Want to create a special calendar that promotes your business or organization? Set a date with the pros at Stripes. Organizations across the Pacific count on us to print their training manuals, guide books, self-published books and much more. © 2018 Stars and Stripes. All Rights Reserved.